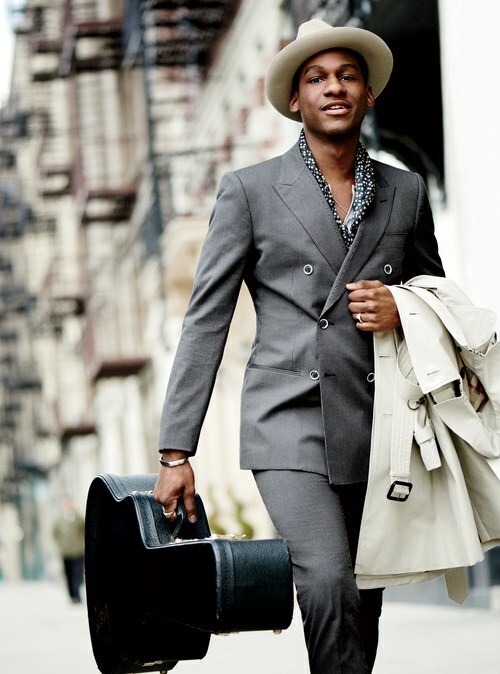 Leon Bridges has a classic R&B sound that feels slightly out of time. Wearing a suit on the weekend? That’s a vintage move, too. But as Bridges shows here, the right retro tweaks can help your business clothes find their Saturday-night groove. You don't exactly expect to see Leon Bridges in an Uber. Or using an iPhone. 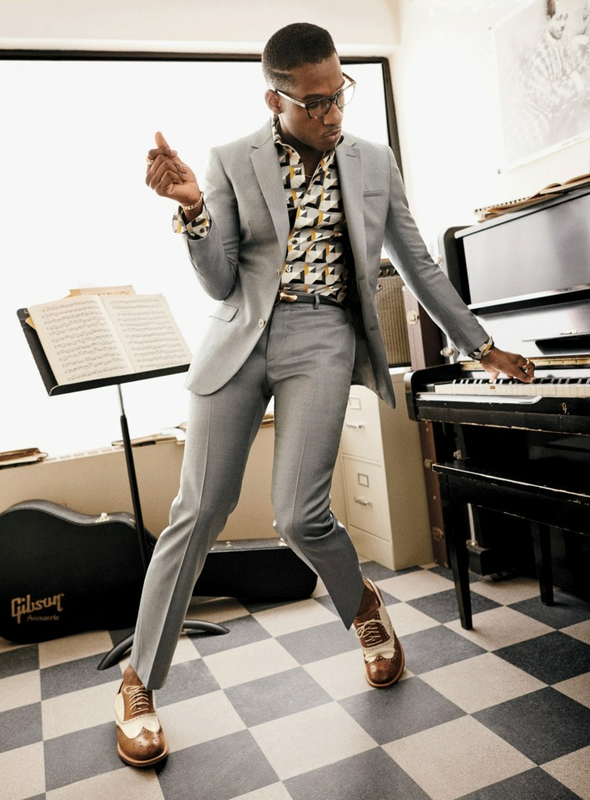 Based on everything the 26-year-old soul singer projects in his '60s-leaning songs and old-school sartorial spirit, we figured he'd be driving a Studebaker and pulling a big plastic rotary phone out of his vintage suit jacket. But no: There's Bridges in the Uber, clicking at his smartphone, asking the driver to put on the hip-hop station, singing snatches of a Drake song, extra dulcet—and you wonder which century, exactly, he lives in. The Droptop of Suits: The same suit you wore to get a bank loan on Wednesday instantly becomes weekend-approved (but still slick and sharp) the moment you slip a patterned shirt underneath it.